For small business owners, it’s tempting to divide marketing projects amongst multiple agencies. After all, why not have a specialist for each objective in your marketing strategy? In theory, this approach would ensure that you have the right agencies to do exactly what they do best – whether it’s copywriting, digital campaigns or video. But the reality is often much different. With the help of technology, your audience no longer experiences your marketing channel efforts in silos. The buyer’s journey has become non-linear, with very few, if any, hard stops between stages. Often the challenge small business owners face isn’t the lack of expertise in each marketing discipline, but in providing a consistent, seamless experience for customers regardless of how they enter and move within the funnel. With that comes the need for a seamless experience and consistent messaging. Too often, the more agencies involved, or “cooks in the kitchen,” the increased likelihood for a company’s voice and message to be tweaked. This can lead to straying too far from the original messaging, which can become confusing, fragmented and inconsistent for the audience. Since consistency is essential for gaining an audience’s trust, too much inconsistency in messaging can have the opposite effect, leaving your company at a severe disadvantage. There’s also the challenge of creative consistency when working with more than one agency. We’ve seen this time and again while working on video. A brand video, for example, can have a multitude of agency players included in the process – from the ideation phase through post-production editing. It’s essential that every member of the team is in sync through the duration of the project to ensure the nuances of the creative vision are left intact. Too often that enormous responsibility falls solely on the creative brief. Frost Media Group mitigates these modern challenges by providing a holistic approach to delivering marketing and advertising content. Our Monthly Video Plus program, or MVP, ensures you have custom-tailored content for your business each month from a single source. No risk of fragmentation, no threat of inconsistency. Here’s how it works: each MVP package consists of a combination of video, creative content and advertising specific to your business goals. For video, you can choose from brand stories, training videos, event recaps and more. The length and production details of your video are dependent on which package you choose and can be completely tailored to your business needs. Additionally, you’ll receive creative credits for use on different types of marketing each month. Need more website content one month? Let us help. Want to try additional digital advertising for the next few months? We’ve got you covered. This flexibility allows you to stay at the wheel of your strategy while we ensure your message and marketing efforts are as strong as they are seamless. And just like that, you can focus less on managing a group of vendors and go back to doing what you do best – running your small business. We love capturing video of honest reactions –it’s just something that cannot be done with interviews or any other type of media. There’s nothing like watching someone’s face as they try something for the first time, then sharing their on-the-spot reaction. That’s exactly what we wanted to capture when we were organizing a shoot for Complete Nutrition’s new Coffee Protein product. When you think of the two biggest users of coffee and protein, who do you think of? We instantly thought of college students, that distinct age group that is not only trying to burn the midnight oil studying for exams but also very health-conscious and concerned with how to best maximize their gym time. That’s why we decided to shoot the video to promote the new product at UNO’s Durango Days this summer. 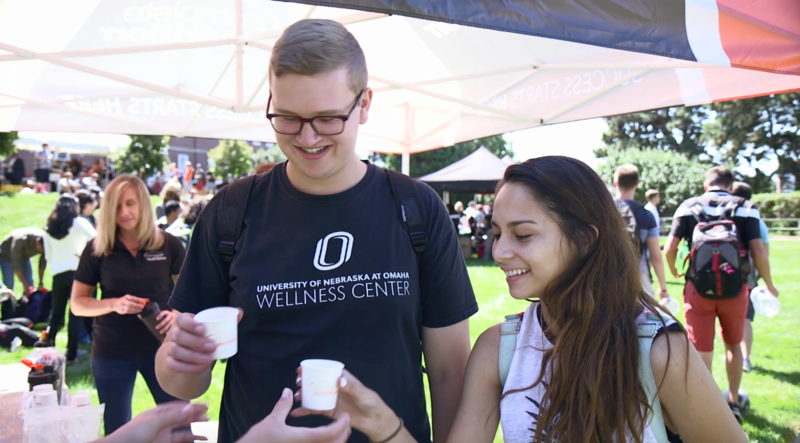 Complete Nutrition had a booth at the event, so it was the perfect place for us to set up and film students as they came by to try the new product. Capturing video of honest reactions was easy and it was great to get such a wide variety of samplers, some of whom were coffee drinkers and some who were not. Seeing their reactions to the drink and especially their reaction when the staff members told them how healthy it was compared to a similar drink from a chain coffee house showed us how much research and expertise Complete Nutrition had put into its development. Complete Nutrition intends to use the videos both to announce the product with some ‘Coming Soon’ social posts as well as to encourage customers to pick up the product in stores when it is available. We think the videos will have a big impact on those who enjoy a great-tasting drink, but who wish there were healthier alternatives. Letting them see honest reactions from the college students is a nice touch that we hope will go a long way. Frost Media Group is an Omaha video production company. In our content-saturated, short-attention-span world, breaking through and resonating with your audience is not easy. However, when it comes to telling your story and sharing it with your audience, there is no tool like video. Through video, you can convey a compelling account of who you are, what you do, what you stand for, and why your audience should care. Through video, you can create an emotional connection to your business, brand, or nonprofit. And emotional connections inspire action. We are Frost Media Group. We are a video production and video marketing company that produces and distributes video that breaks through. Video that resonates. Video with a purpose. Whatever your story, whatever your message, we will find a strategic, creative way to express it to the world. When you’ve got a great story, you need to find the best and most effective way to tell it. If you’re like Ronald McDonald House Omaha, you’ve got multiple amazing stories, each of which has the potential to touch the hearts of those who hear it. 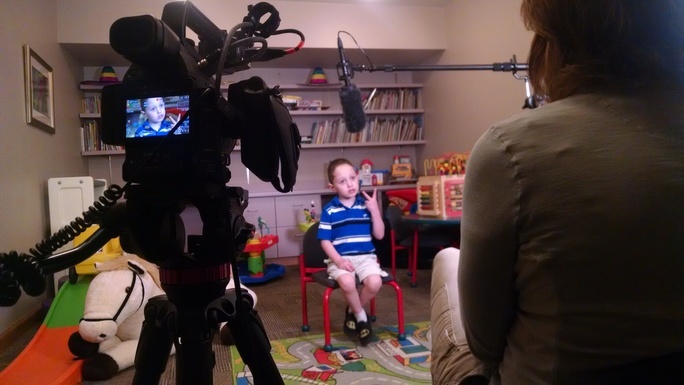 Because Ronald McDonald House is a non-profit that relies on the generosity of its donors to keep it’s mission going, effective storytelling is absolutely necessary to raise the money it needs to continue serving families like the one we filmed for this video. Though every family who stays at the Ronald McDonald House has an amazing, touching story, Katie’s is especially unique because this is the second time she has gone through this experience. Her first son, Brendan, was born with Short Bowel Syndrome and they stayed at the Ronald McDonald House after he underwent a transplant. 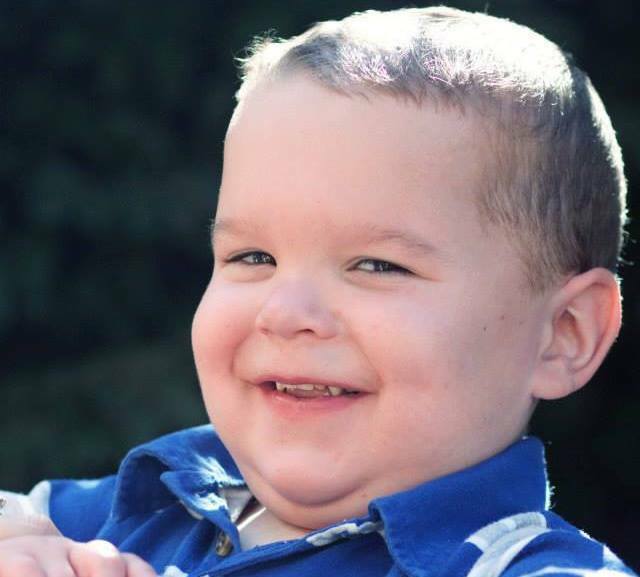 Katie’s second son, Cody, was also born with Short Bowel Syndrome, which is extremely rare. He was also referred to the University of Nebraska Medical Center and the family is once again staying at Ronald McDonald House. At the time of this filming, the family has been there 202 days and Cody is recovering well from his transplant. Most of us cannot imagine what it would be like to have a very sick child, let alone two sick children in need of transplants. Katie’s story is a sobering one, but also one of hope. It’s obvious from her interviews how much she appreciates the supportive environment of Ronald McDonald House and how much it has helped her and her son as they go through this difficult time. It’s nearly impossible to watch this video without tearing up and realizing that families go through awful ordeals every day. We hope that those who watch this video realize how important Ronald McDonald House is to those families facing the unthinkable, and help support them so they can continue providing these families much-needed support. Raw emotion is often the motivating factor behind great causes. It takes that special moment of connection with a person or a situation to light the fire and go from feeling to doing. Unfortunately, many organizations that are built around great causes eventually lose that initial connection and forget why they are there and what they are working for. David House, President of Cosmopolitan International, felt this was happening with many of the Cosmopolitan groups and he wanted to help them ‘find the fire’ and reignite their passion for helping the cause. To capture and best express David’s mission and why it is so vital, Frost Media Group, an Omaha video production company, had to rely mostly on interviews with David himself. The moment of connection that motivated David was finding out about a single mother whose young daughter had been diagnosed with diabetes and whose life was falling apart because she couldn’t afford the care her daughter needed. Of course, filming the mother or the child would have been ideal, but because they were not available, we had to capture the emotion through David’s interviews. Cosmopolitan International is the club that fights diabetes, but David felt that they needed a more concrete example of how their fundraising was helping the diabetic community. By interviewing him and showing some specific examples of how their funds were helping to buy diabetic alert dogs for kids, we were able to show exactly how the club was helping. Of course, showing some adorable kids and cute dogs never hurt a cause, either! This video has the elements of showing emotion, sharing relevant information and also displaying the passion and commitment of a leader that will hopefully motivate others in the Club. By showing this video at the Club’s international meeting in July, David and his team hopes to help all of his members ‘find the fire’ and recommit to their mission of helping those who have been diagnosed with diabetes. They will also be able to use this video to raise more funds for the Clubs and to show to other groups who might be interested in getting involved. Helping to capture the emotion and passion of such a dynamic leader was a true pleasure. We enjoyed learning more about Cosmopolitan International and hope that their finished video helps light the fire of all who see it. Showing is always better than telling when it comes to marketing. This becomes even more imperative when you’re talking about an industry that is inherently visual. Though you can talk about the professionalism of your company, your background and experience and list those you’ve worked for, you can’t really tell the whole story until you show people what you can do. We found this to be the case for Jay Moore Landscaping after our friends at Identity Marketing Group reached out to us to create these videos. Though Jay’s credentials and work experience certainly speak for themselves, his company’s full story did not come through until we were able to show his amazing projects on camera. There’s just something about a panoramic view of a breathtaking pool area set to relaxing music that you cannot capture with a simple photograph or written description. To tell Jay’s story, we decided to use a few different approaches. We wanted to capture some examples of his projects on film, of course, but we also wanted to make sure we told the story of his professionalism, integrity and his love for the landscaping industry. To accomplish these goals, we decided to film a full-length two minute video incorporating three client testimonials complete with shots of their projects as well as interviews with Jay describing why he loves what he does. While a two-minute video is great to put on a website or to use in a presentation, we knew that to effectively utilize the content, we needed to cut it into more targeted pieces. To achieve this, we created six FrostBytes from the video. Each video has a different ‘theme’, either focused on the type of project (pool deck, for example) the end goal of the project (functionality) or an aspect of the company itself (professionalism). Jay will now be able to use these FrostBytes to do some niche marketing on social media or with an email campaign. He can target his message to a specific group of people who may be interested in a certain type of project or who are looking for a landscaper who displays the characteristics they are looking for. Filming for Jay Moore Landscaping was a true pleasure as we got to see and film his gorgeous projects as well as meet some of his clients who clearly loved working with him. We hope that we did his company justice with our finished videos and that they will serve to tell his story to many future clients. The right to vote is one of the backbones that our country was founded on. Different groups have protested, struggled and fought to get the right to vote; yet too many of us squander that right on a regular basis when we don’t go to the polls and cast our ballots. With one of the most contentious elections on the horizon this November, one person wanted to do something about this. Warren Buffett, arguably one of the most well-known figures in Nebraska, knew that to really address the problem, he needed to know what the real problem was. After doing further investigation, he realized that many people did not go to the polls for a simple reason: they had no way to get there. And, Warren being Warren, he wasn’t going to let that problem stand in the way. He was going to do something about it. 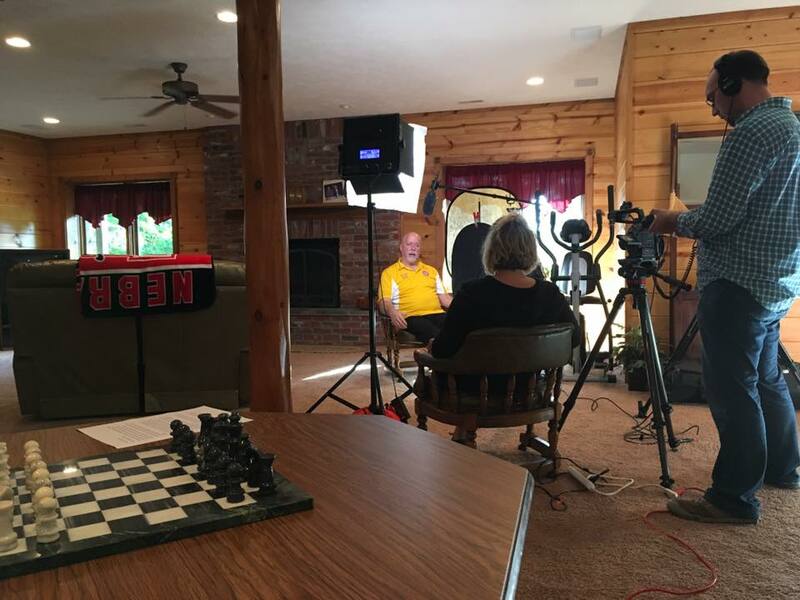 With the help of Secret Penguin, a branding agency that developed the website and Katie Weitz, who helped with creative elements and direction, Warren and Susie Buffett developed the Drive2Vote initiative and we got the opportunity to film videos to help explain the project. Being a persuasive and incredibly likable speaker, we knew that the best way to get people excited and onboard was to film Warren himself. We developed one longer (two minute) video with Warren describing the project and a series of shorter videos to send to those who signed up for a ride or to volunteer. Warren did an excellent job of getting the message out that he wasn’t telling anyone how to vote, he simply wanted them to have the chance to get out there and exercise their right to do so. This was also a call to action to others: instead of worrying about (or complaining about) a lack of voter turnout, why not get involved instead and offer a ride to the polls to someone who would otherwise be unable to go? We love using the power of video to illustrate projects that are meant to help us be better people and a better society. Of course, having the star power of Warren Buffett behind the message never hurt, either! 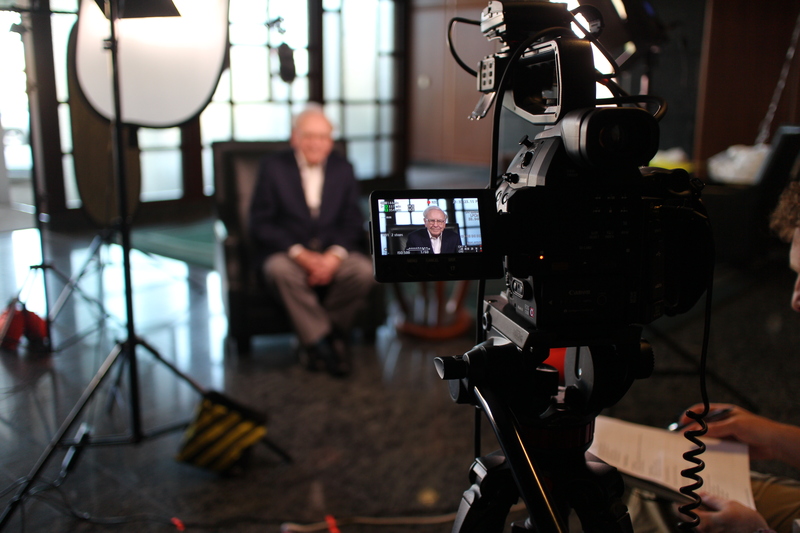 We truly enjoyed this shoot and, as you can hear in the end of the video when he cracked us all up, all had a great time interacting with Mr. Buffett and his team. Videos are a great option for larger companies who have a lot of moving parts. 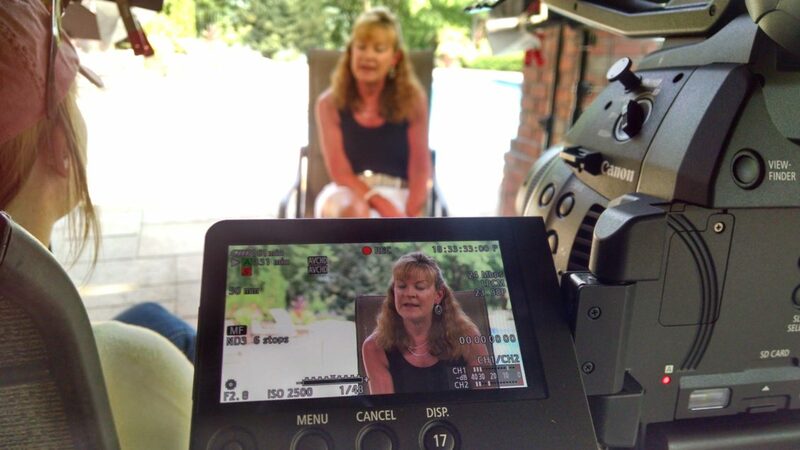 One of the reasons we, Frost Media Group, an Omaha video production company, decided to start offering our ‘FrostBytes’ was because we saw companies who wanted to tell their story in small segments and to narrow the focus of who those messages went out to. Of course, we also saw the potential of using the ‘Bytes’ on social media as well. While targeted messages can get lost in a large video that looks at the overall vision of a company, they have the chance to shine in the small clips that we enjoy creating. RehabVisions, an Omaha-based company that staffs and manages therapy departments for hospitals and skilled nursing facilities, was one of those companies that could benefit from multiple targeted videos. 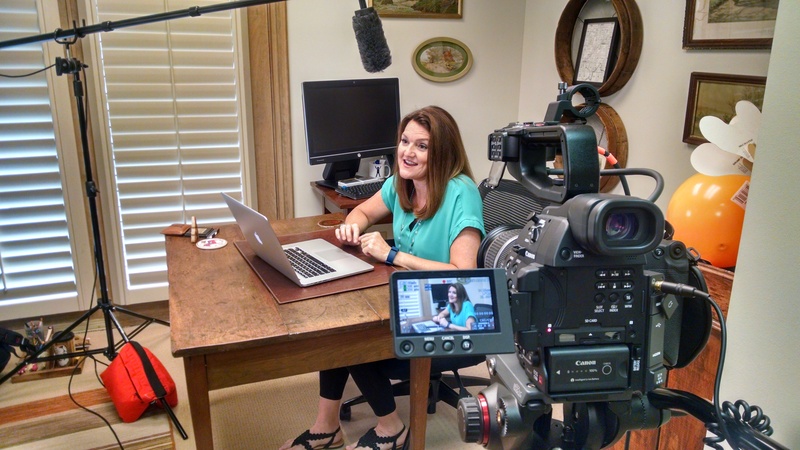 Because there were so many valuable messages they wanted to send about their company and because the audience for those messages was different, we knew that an all-day (Day Pack) shoot where we created some longer videos supplemented by Frost Bytes was the right option. The first message was centered on the company’s Cariant division, which provides traveling physical therapists to different parts of the country. Cariant is looking for new physical therapists graduating from PT school who might want to join their team, so we made a series of Frost Bytes featuring the upbeat and fun Keith and Bridgett. This married couple joined Cariant out of PT school and will be able to travel together with their new careers. 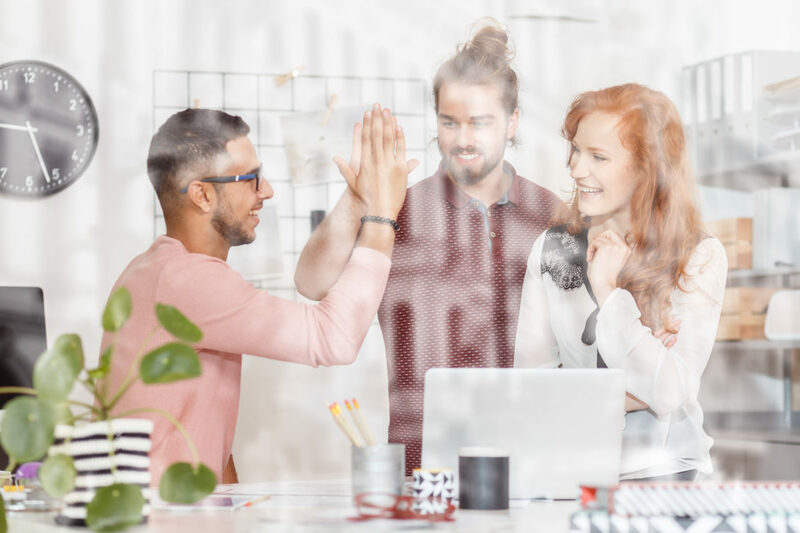 Being able to hear from actual new employees about their exciting adventure will be a powerful recruiting tool for this division of RehabVisions. We went in a completely different direction with the video series we did for the company’s RV Net division. This is an online resource for RehabVision employees, but few of them actually use all of its available resources because they don’t know enough about it. With these easy-to-follow how-to videos, employees will be able to learn and then take advantage of this useful resource available at their fingertips. The RehabVisions project was a classic example of how versatile video can be for a company. Whether you want to show what a great place your business is to work, need to walk viewers through a training or just want to tell your story, please consider video! We love what we do, and would enjoy helping you. When our loved ones age and begin to need help caring for themselves, it can take an emotional toll on us. Some of us are near enough and in a position where we can help out, while others are forced to employ others to assist due to distance or time constraints. More often than not, no matter which group you fall into, you will eventually be faced with a decision of what to do when your aging parent or grandparent can no longer live independently. If you asked anyone in this situation what they would want to see in a retirement or rehabilitation community for their loved one, it’s likely that they would all be concerned with the type of people who worked there. Are they skilled? Responsible? Will they take care of mom or dad in the same caring manner that I would? Nye Health Services is aware that, in the retirement industry, it’s all about the people. That’s why they’ve created a team of employees that treats residents like their own families and why their working environment is such a rewarding place to have a career. Nye wanted to send both of these messages in their videos that we filmed for them. They knew that to create the environment their clients valued, they first needed to hire the best and brightest. We spent the day filming at two of their locations to capture the joy and caring that went into every task the staff performed, showing potential employees why they would consider working at Nye. Though we did interview Nye’s founder and CEO, we tried to focus on the ‘show rather than tell’ motto when Frost Media Group created this video, knowing that the team environment would speak for itself. We also created a patient experience video that was aimed at showing this same warm environment more from the resident perspective. To supplement these two videos, we created six mini videos (or Frostbytes) that will be perfect for social media. The ‘mission’ Frostbyte is a great example of an easy-to-use video for branding purposes on social media or at events. We thoroughly enjoyed our time spent with the entire team at Nye and what we created. It was clear to us that everyone formed a united front to provide the most caring and nurturing environment possible to residents and to those going through rehab services. We hope our video storytelling accurately portrayed what a great place the Nye communities are and what a benefit they can be to our aging population. Body image distortion, eating disorders and general anxiety and depression issues continue to be a problem in our culture. Mostly striking girls or young adult women, these debilitating problems are not only incredibly difficult to overcome, but they can also be tough for outsiders to understand. When someone is experiencing these issues, it can be a game-changer if they are able to find a mentor who can help them get on a better, healthier path. Lauren Sieckmann is one of those mentors. A college volleyball players with a scholarship to the University of Nebraska-Lincoln, Lauren is one of the last people you might think would develop self-esteem or eating issues. However, the combination of constant pressure as a college athlete paired with the stress that came from an unhealthy personal relationship resulted in Lauren becoming depressed and developing an eating disorder that threatened her health. After finding her own way to recovery, Lauren wants to tell her story to others and give them a healthier way to look at fitness and nutrition. Her online nutrition and exercise program carries the tagline of ‘Healthy Body/Happy Mind’, and that’s just what Lauren delivers. 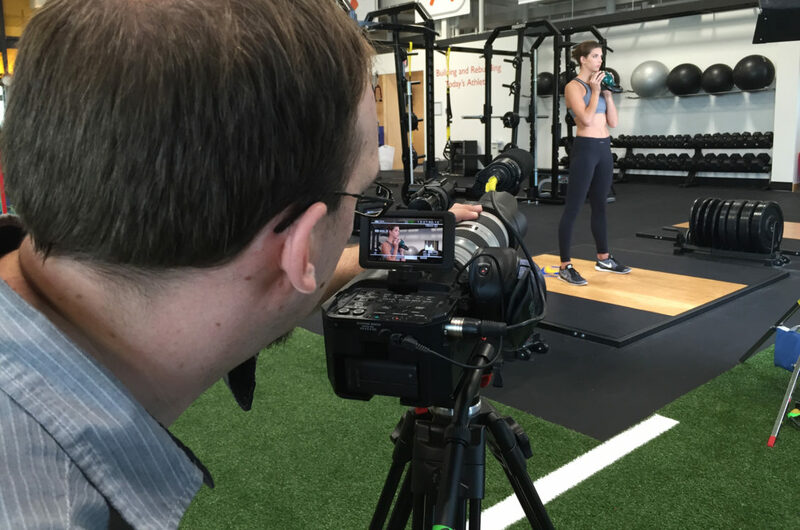 We were brought on board to create videos to introduce Lauren’s program through a welcome video as well as to create a nutrition video and over 120 short exercise videos that will be available to clients on her website. While filming these videos both in and outdoors in a number of venues including gyms, parks and on tracks. We enjoyed seeing Lauren and her trainers in action, and seeing what a great role model Lauren will be for anyone who is involved with her program. Girls of any age will be able to look up to Lauren not only because she was a collegiate athlete and is now a fitness model, but also because she has such an infectious spirit and had the strength to share her past with others. We loved telling Lauren’s story knowing that she will be able to help others live a healthier and happy life and encourage everyone to check out her website laurensieckmann.com. If you love the website as much as we do, give Mark at Identity Marketing Group a call, they did the brand, website, and all the marketing for this project. Great work! * Videos shown in blog post are 2 of 3 videos available via free 7 day trial on Lauren’s website. Most of us were lucky enough to grow up with supportive families, friends and communities. With their help, we learned how to deal with life’s adversities, developed coping tools to use throughout our lives and had a strong support system to both celebrate with and receive help from. This is the ideal childhood situation, but as we all know, not every child is lucky enough to be born in this environment. Without a stable home environment, many children find themselves adrift before or after school. They often become withdrawn and sad, or they find themselves involved with a crowd that influences them in a negative way. It’s widely known that intervening and providing alternatives for these kids is one of the best way to keep them on the right path, but sometimes that is easier said than done. That’s where the Boys and Girls Club of Omaha comes in. By providing a place where kids can go to be with their peers, learn new skills, have fun and be part of a supportive environment, the Boys and Girls Club is changing lives. We had the opportunity to interview three participants in the Club, all three of whom were Youth of the Year award recipients. Though their backgrounds and stories are all very different from each other, the common denominator is that all three of them would be experiencing very different realities right now if it weren’t for the Club giving them a ‘second home’. There is no way that we, or anyone else, could tell Giselle, Brandon or Bailey’s story any better than they could. We knew that to really touch the hearts of potential supporters of the Club, the kids had to explain what it has meant to them in their own words. Filming these three extraordinary young people had a big impact on our staff. Not only had Giselle, Brandon and Bailey survived their circumstances, but they’d overcome them to grow into amazing young adults with bright futures ahead of them. The Boys and Girls Club wanted an impactful brand video to show at their annual fundraising event, On the Road to Motown. This amazing gala had over 500 guests in attendance and raised $685,000. Even the kids were able to get involved by performing to Motown classics for the guests and serving up a delicious soul food dinner. The perfect kickoff to the festivities was this video as everyone had top of mind awareness that, though they were there to have a great time, they were also there for a reason. 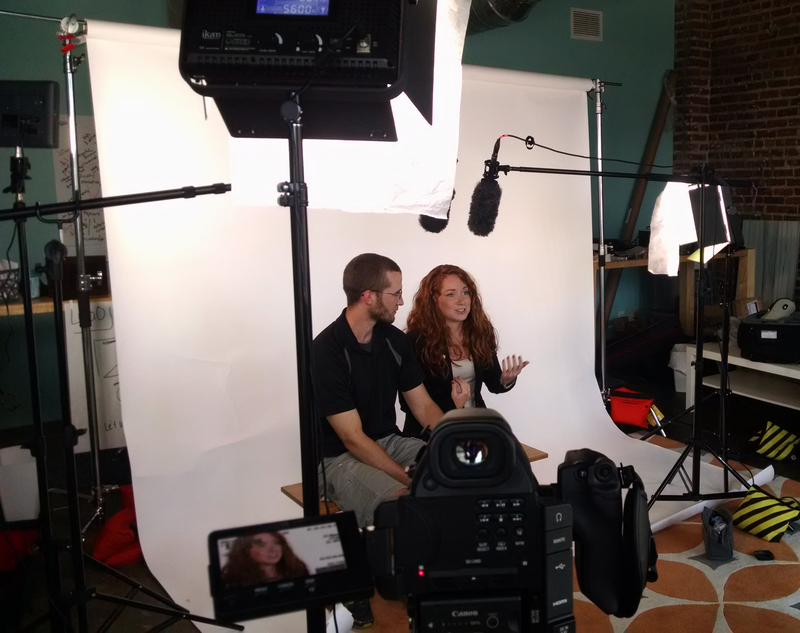 We always enjoy helping worthy organizations tell their stories to potential supporters. We know that running a non-profit like Boys and Girls Club is not easy, nor is it inexpensive. To be able to perform their vital role in the community, they need to have effective fund-raising strategies. When video makes an impact and helps them reach their goals, we know that we have done our jobs. Thank you, Boys and Girls Club of Omaha, for allowing us to briefly be a part of your wonderful organization! Frost Media Group is an Omaha video production company. In our content-saturated, short-attention-span world, breaking through and creating a brand that resonates with your audience is not easy.